What if God was one of us? What if He was just living in a rented studio apartment? 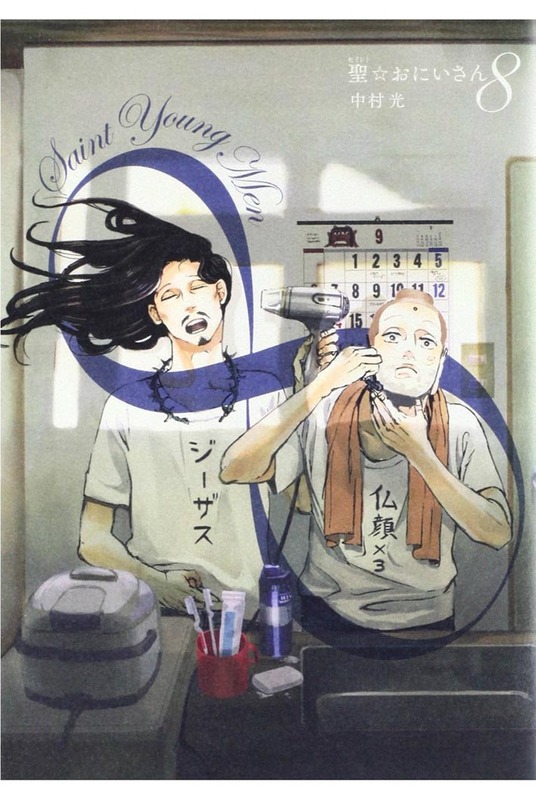 Saint Young Men (聖☆おにいさん – Seinto Oniisan) is a Japanese manga series written and illustrated by Hikaru Nakamura. 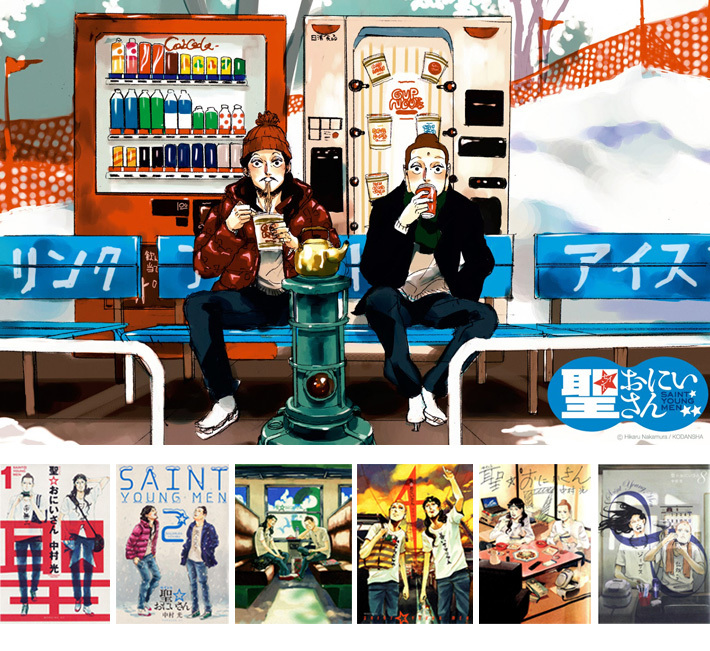 Saint Young men tells the story of Jesus and Buddha who came down to earth in the modern times to spend some holidays in Tokyo. 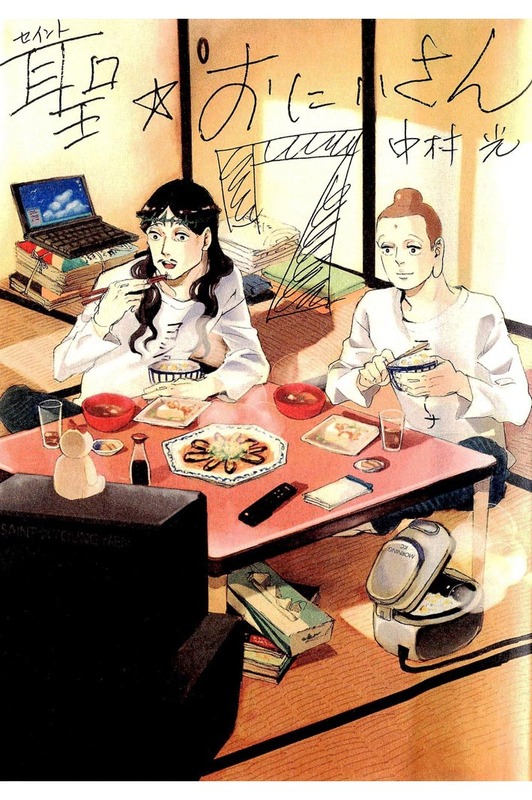 They are living together as roommates while trying to survive in the modern world. Face ordinary problems like not having enough money, get some money to eat, save enough to buy more stuff, enjoy the new things from this era and trying to dont get discovered by the human beings. The story is very hilarious, if you dont have any idea about Christianity and Buddhism you wont get many jokes, and that’s why it makes a simple manga, but clever and cultural jokes. 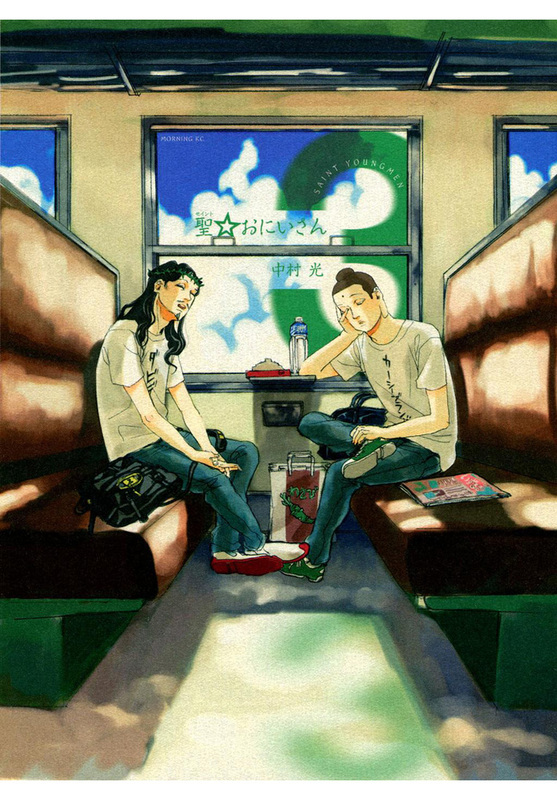 And to be honest reading this manga was such an enjoyable time. It was not all offensive and I really loved the artwork.